The Lioness Lean In Breakfast event, the 5th event of its kind in the country to date, took place on the morning of 18 May at the Standard Bank Business Incubator in the city. 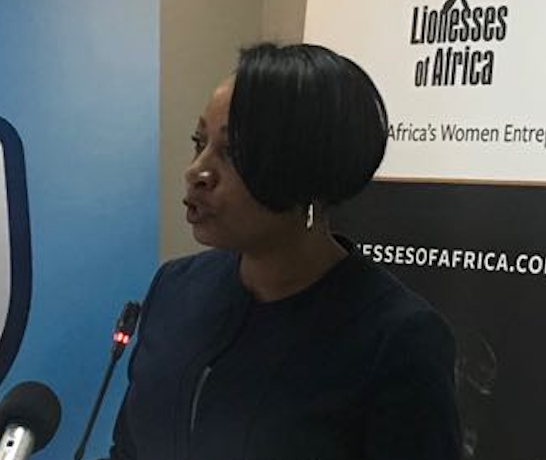 The aim was to showcase some of the country’s leading and up-and-coming women entrepreneurs and to introduce them to the Lionesses of Africa network and the entrepreneurial eco-system in Maputo. Like the series of successful events run last year in the country, it was all about sharing personal business start-up stories, inspiring through shared experiences, and connecting through great networking. The event started at 8.30am on the morning of Friday 18 May, once again powered by Standard Bank in partnership with the Embassy of the Kingdom of the Netherlands. The venue was the Standard Bank Incubator, located at Rua dos Desportistas, No 119, 1st Floor, Maputo, Mozambique, which is fast becoming synonymous with the successful development and nurturing of the city’s women entrepreneurs. The hugely popular Lioness Lean In Breakfast Series brought together three more inspirational and successful women entrepreneurs from Mozambique to share, inspire and connect with the next generation of great women-led startups. The Lioness Lean In Breakfast Series is based on a breakfast networking and speaker presentation format that is highly popular with women entrepreneurs in Africa. The morning commenced with breakfast and networking, followed by a welcome from Helia Campos, Head of Human Capital at Standard Bank. She was joined by Pascalle Grotenhuis, Ambassador at the Embassy of the Kingdom of the Netherlands who also welcome guests to the event. The morning’s event then really got underway with Lionesses of Africa founder and ceo, Melanie Hawken kickstarting proceedings with an update on all the new initiatives taking place in the Lionesses network. She also shared a video on the latest Startup Night Africa event which took place in London in April, showcasing Africa’s women brand builders in this important global market. Melanie the introduced the real stars of the morning’s event - three inspirational women entrepreneur guest speakers sharing their own entrepreneurial journeys and experiences. First to speak was Anicha Abdul, founder of EP Management Consultancy. She shared her very personal journey and experiences of being a serial entrepreneur, launching a number of successful companies in Mozambique over the years. Next up was Ursula Pais, co-founder of Ka Da Terra, a leading independent supermarket retail company in the country, who talked about the challenges of growing a successful business in a very challenging retail environment. Finally, powerhouse young entrepreneur Carmen Miral, founder of the exciting natural organic hair company Black Khakhela, shared her story of building a niche business and brand in the highly competitive world of hair and beauty products. It was a morning of great inspiration and story sharing. The Lioness Lean In Breakfast event also featured a women’s entrepreneur marketplace, showcasing the products created by the following rising star businesses in Maputo: Carmen Miral of Black Khakhela (hair products); Alda Lucia of Utomi Cosmeticos (oils and soaps); Cristina Rocha of Daisy Handmade soap (handmade soaps); Florbella Mudiuie/ Filomena Matimbe of Finana (products made of banana); Shanna Chicalia of Shanna Chicalia (capulana purses); and Vanessa Nhabett of Mulandi Brindes (floral gifting products). In addition to the marketplace, there was also live music with accompanying African decor and catering.